We have successfully completed about hundreds of Dental Implant Cases and placed hundreds of Dental Implants over the past 17 years. From replacing a single missing tooth, multiple teeth, or a mouthful of broken down teeth, Dr. Patel has extensive experience in Dental Implant Treatment. The quality and quantity of bone in the area; there must be enough good quality bone tissue to hold the implant securely. This requires dental molds to be taken of your mouth, xrays to evaluate the bone and vital structures and Imaging to be completed for a full assessment of the specific anatomical considerations. Whether you need complete smile makeover or dental implants, cosmetic dentist Dr. Patel can help you get back to the lifestyle you enjoy. Contact us if you’re interested in the world-class cosmetic & implant dentistry. Dr Patel has completed extensive training in Implant Dentistry and Dental Implants all over the world. He taken thousands of hours in courses specifically focusing on Dental Implants. From the ILAPEO Institute in Brazil, Live Implant Training with Dr. Virgil Mongalo, to the world renowned Pikos Institute, Dr. Patel has trained with some of the best. He has extensive training in Computer Guided Implant surgeries and was one of the first Dentists in Austin to implement this technology. Dr Patel has maintained a Fellowship with the International Congress of Oral Implantologists. 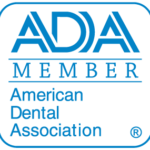 Only a very small percentage of Dentists achieve this recognition. All of our patients receive a 3-D CAT Scan prior to Dental Implant treatment to evaluate the quality of bone. We have on-site 3-D CAT Scan technology at our Downtown Austin location. Dr Patel has completed many All-On-4 treatments to help those patients with mouth’s full of deteriorating teeth or those with no teeth. Dr Patel has helped many patients who suffer with loose and sore Dentures by completing All-On-4 treatments to give them a fixed set of teeth to smile with and chew with. With this treatment, patients can get a new smile in just one day and all treatment can be completed in our office. If you are missing all of your teeth, or require all of your teeth to be extracted earlier in your life, dental implants are the best option for you to retain your natural jaw bone structure. If you have lost all your teeth, it can be placed to hold a complete set of artificial teeth. Want a dental implant consultation? Contact our office for an appointment, and our dental team will help you figure out if dental implants are right for you. 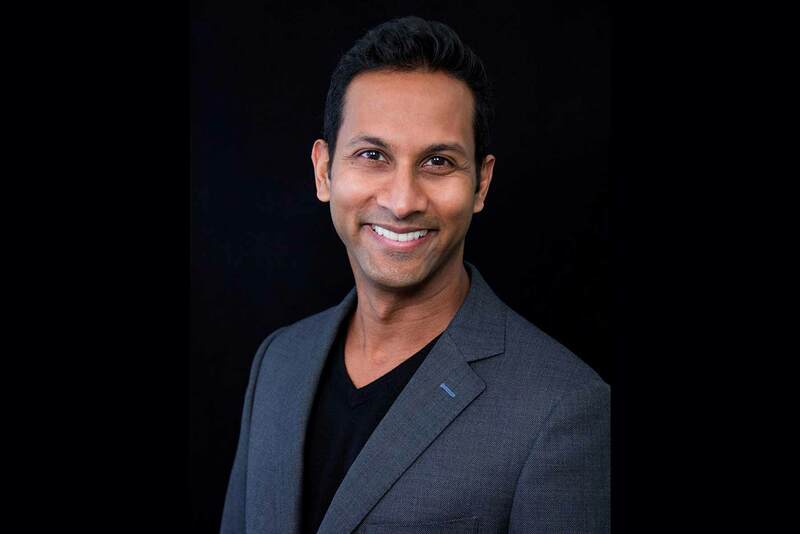 You will receive world-class cosmetic & implant dentistry performed in Dr. Patel’s Austin dental office 78703, please schedule a complimentary consultation with Dr. Patel today 512-476-2336. A replacement root form made from titanium that is surgically placed in your jaw. The replacement tooth or teeth that are placed on the root form or forms (abutment and crown). Other teeth aren’t subjected to the strain of having work attached to them. A typical implant consists of a titanium screw (this will resemble a tooth root) with a roughened or smooth surface. Standard implants can be used to replace a single missing tooth, several missing teeth, to support a fixed or permanent bridge, to help retain a removable prosthesis(dentures), or to support Hybrid Dentures. This can be done in several appointments. The first step is to have the implant post surgically place into the jawbone. After it is placed, there’ll be a wait of about 3 months, while the bone and implant gradually fuse and integrate with each other. Then Dr Patel will fit the artificial tooth on to the implant, or create the bridge if you have several missing or damaged teeth. The entire process, from initial surgery to complete healing, may take several months. 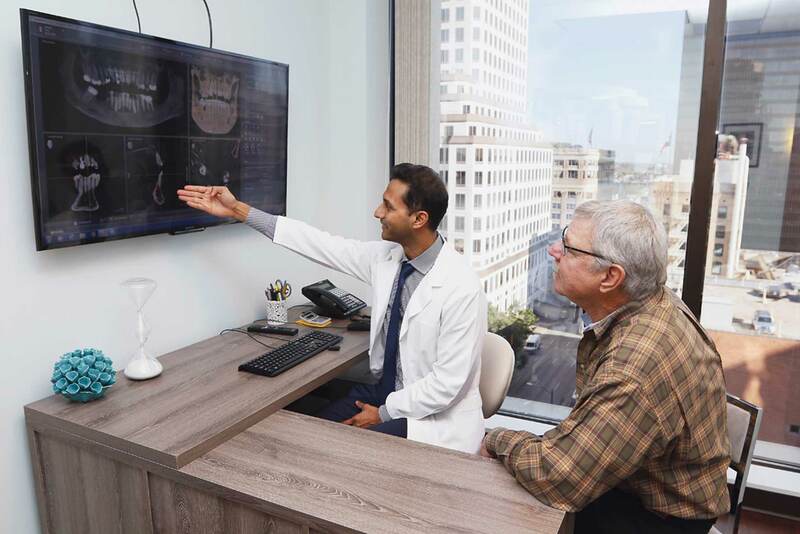 The technological advancements have significantly improved the treatment options available for patients missing just one or a few, or all of their teeth. For those with failing teeth or severe periodontal disease – dental implants look, feel and function like natural teeth and because they integrate best with the bone and become a part of the jaw, they preserve bone structure and prevent the inevitable bone loss that results from missing teeth. What are “denture implants”? Are they really implants or dentures? The term refers directly to a very specialized surgical procedure that is performed under anesthetic. One or more small titanium rods are literally screwed into the bone of the dental ridge under your gums, and the tops of the rods are left exposed above the gum line. The implants are then given time to heal, usually at least two months. If all looks good, then you are ready for the denture to attach and mount to the implants underneath. This strongly increases best the retention and stability of the denture. Your dental treatment plan will depend on the area within the mouth and the number of missing teeth. For example, a space with one missing tooth and natural teeth on either side can be treated with a dental implant supported restoration to provide a long- term solution. This is a low-maintenance treatment that will result in maintaining the integrity of your teeth. In a rare situation where all of your lower teeth are missing – a four dental implants can be strategically positioned. This will be to support a restoration with 10-12 teeth providing function similar to a full complement of natural teeth. Dental implants can help to maintain and retain the supporting jaw bone that would otherwise shrink away. Tthis will help maintaing the facial structure and preventing of a sunken-in appearance to the face. When placing dental implants rather than a traditional bridge will prevent from having to remove a healthy tooth or an adjacent tooth used to support the bridge. Replacing missing teeth helps to distribute the forces of chewing. This is so that the remaining teeth are not taking the brunt of the chewing load. Using dental implants as a solution will help to prevent the denture from moving on the gum tissues and provides an extremely stable anchor for dentures allowing for improved chewing capacity and function. Do your current dentures slip when you speak? Does your food get stuck on your dentures when you eat? Do your old dentures seem to be losing their grip? Are you just plain tired of dealing with sore gums? It can range in price, for a single implant the price can be from $900 to up to $2000. That is just the cost for the implant or tooth root replacement itself. The tooth root usually is not completed until a tooth or bridge or denture is connected to it to replace the top part of the tooth or teeth that is missing. This is where the pricing is affected and can range in cost as well. For example, for a single tooth to be replaced, which would be the implant and the tooth (which is called the abutment and crown), the total price can range from about $3000 to $5000. This would be about $900 to $2000 for the implant and then $1100 to $3000 for the abutment and crown that attach to the implant. So technically a single tooth when replaced is actually composed of three parts: the implant, the abutment, and the crown. Dr Patel has a broad and extensive knowledge of all aspects of Dentistry. We offer a full range of treatments and procedures. Because of this we can often complete years of much needed dental work in just a few visits.